Here’s a smart, concise master plan for your year-end campaign. Follow this step-by-step format and you should see amazing fundraising results. 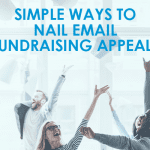 Let’s make the most of the “giving season” and just nail your fall fundraising campaign! 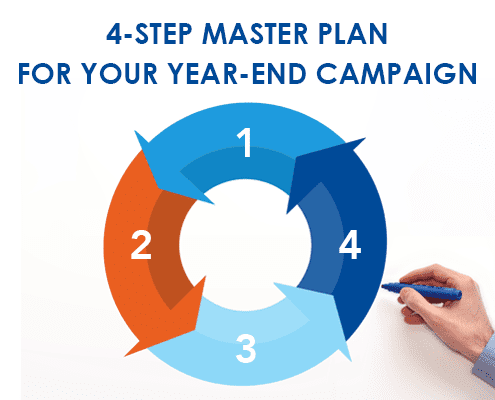 Here are my suggestions – all wrapped into a well-organized master plan for your year-end campaign! Ok, so what do you want to accomplish? This goes deeper than just an overall financial or budget target. Smart fundraisers break their campaigns into segments and set dollar and activity goals for every segment. If you have annual donors giving at $1k, $5k, $10k or more, then they are your treasured leadership donors. And they deserve tons of attention. Set goals for each of these larger giving levels. 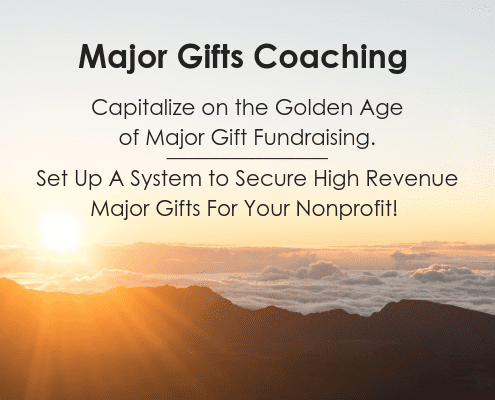 Identify these donors personally by name, and focus resolutely on renewing their gifts. Why not show some #donorlove to your lovely lapsed donors. These are people who gave before but who have not renewed their gift lately. If you focus a campaign on them, show them some love, and tell them that you have missed them, I bet you can renew their gifts. Try setting a firm goal for board gifts. And have a group of board members take ownership of this goal, not you. 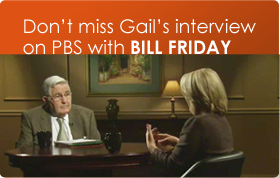 What other segments can get personalized appeals? Perhaps it’s your volunteers. Or parents. Clients. Former board members? Gala attendees? Remember, breaking your list into segments allows you to send more personalized appeals. And they raise more money. 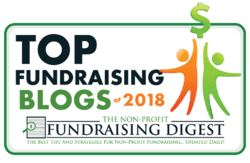 If you want to knock your year-end fundraising out of the park, come on and join our Epic Year-End Campaign webinar series. You’ll learn from 7 world-class experts how you can max out your year-end totals. Hope you can join us! Wow, we have so many channels to use these days! It’s time to be creative! Create a theme, brand, and a consistent ask that you can carry through all the communications channels. Then you will have a powerful campaign that gradually builds awareness inside your donors’ overloaded brains. PLEEEZE don’t worry about overloading your donors with messages. Use video in an email appeal, on your webpage, on your donation page, or your thank you page. It’s still the king of fundraising channels. Never, ever stop sending snail mail! Inexpensive and easy. But also easy to be sloppy. Make your emails snap and crackle with energy and excitement. May be the queen of fundraising channels. Far more personal than mail or email. Check out our Facebook live convo with Simon Scriver about HOW to use the phone in your year-end campaign. A cheerful way to keep your supporters engaged and happy. Raises money too! Absolutely essential for your leadership annual donors. Be warm, friendly and urgent. You really do have more to work with than you think you do. You may feel constrained by your budget resources. But be creative! Enlist your board members, volunteers, or staffers to help. They can make phone calls, write personal notes, forward email appeals to their friends. They can share on their social networks. And they can be social ambassadors for your crowdfunding campaign. They can have fun doing it too! CAVEAT: Don’t be afraid to spend money. 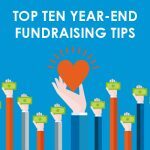 I discussed this in my webinar this week, How to Create Your Best Year-End Campaign EVER, (part of our EPIC Year-End Fundraising series.– it’s not too late to join us and find out how to double your results too!). If you really think that you might be able to raise as much as $500,000, then wouldn’t you be willing to spend $50k to bring that funding in? Otherwise, that $500k will just sit there, and it won’t come to you. Alas! All this planning means nothing if you don’t calendar everything out. Here’s where you set accountability. Here’s where you make sure you can sleep at night because everything’s set up ahead of time and your team knows what to do when. I like to schedule backwards. Then I set deadlines for each step well in advance. That way there’s plenty of slack time for the inevitable crises and delays. 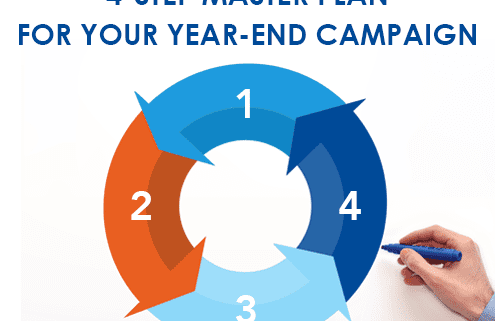 Bottom line: What’s YOUR master plan for your year-end campaign? Be sure you lay out that timeline now. The more you plan up front, the more you’ll raise later!